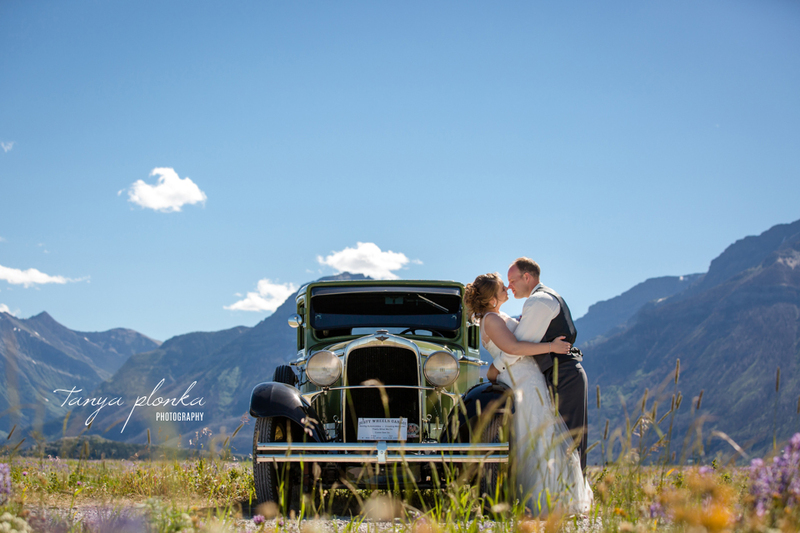 Garrett and Heather held a summer Waterton Community Center wedding on the lawn below the mountains. It was a beautiful day for their intimate wedding and we managed to keep the day calm by avoiding all of the crowds in the park. In the evening we returned to the Waterton Community Center for their reception, which was deliciously catered by The Great Canadian Barn Dance. Heather and Garrett are such happy and silly people (at one point they complained how hard it was when I asked them to be serious for a photo!) that you couldn’t help but feel joyous being around them all day. They just couldn’t stop smiling! It was obvious where they inherit these traits from… everyone in their families was so warm and inviting and had great senses of humor. 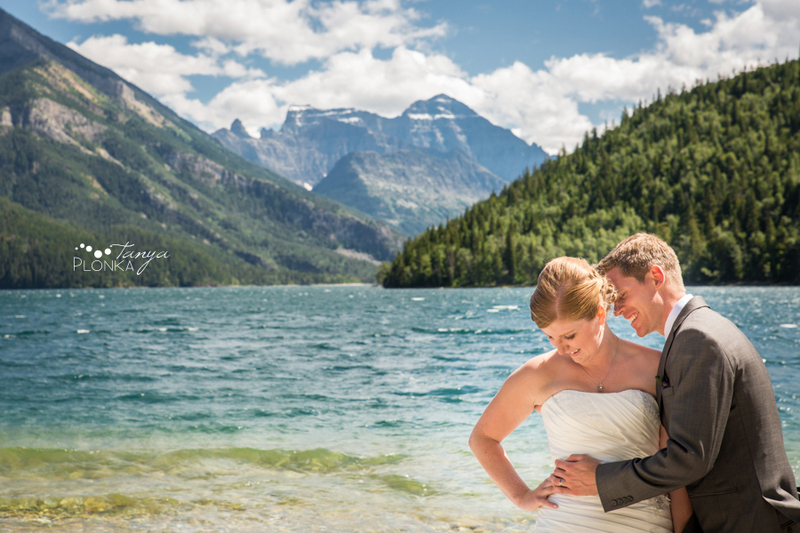 Ryan and Jen had a summer Waterton mountain wedding, which is always one of our favorite places to visit! 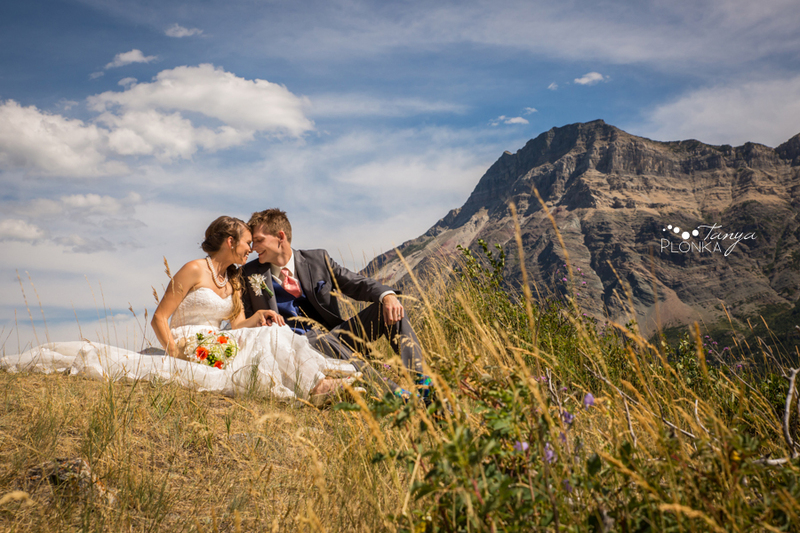 Both their ceremony and reception were held at the Waterton Community Center, with their ceremony taking place on the lawn outside overlooking the gorgeous mountains that surround the townsite. They were hilarious with their wedding party, and Ryan was especially all about jumping into silly poses. We are very grateful to them that they handled the wind so well seeing as how the prettiest places were the ones where the wind could almost knock you down that day! When Michael and Chantelle told me that their dog Wyatt was going to be a big part of their wedding day I knew we would have a lot of fun! 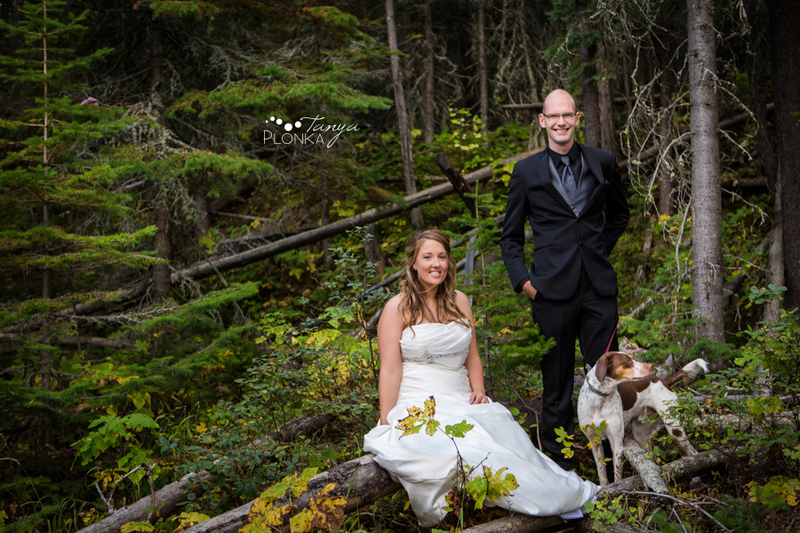 We started out their casual Waterton wedding day with an intimate ceremony at Linnett Lake on the docks with a background of changing autumn leaves and spent the afternoon taking photos around Waterton. I was so happy that they scheduled so much of their day for photos! We didn’t have to feel rushed at all and got to visit so many different locations. We finished up at Red Rock Canyon just as a few rain/snow clouds rolled in, but luckily it’s still only up in the mountains that the season is really changing! In the evening they held their reception at the old school house in Waterton with lots of dancing and delicious food.